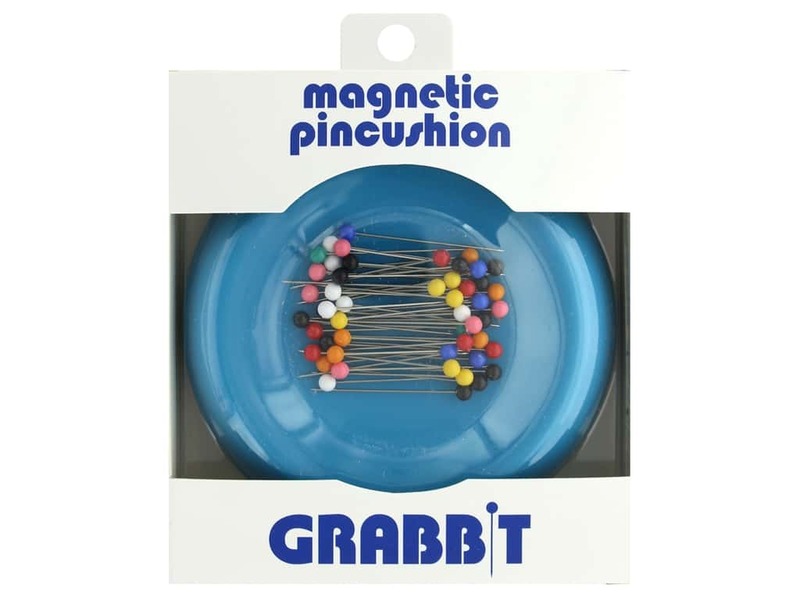 Description: Blue Feather Grabbit Magnetic Pincushion Teal- No more picking up spilled pins one by one, just sweep them up with your Grabbit magnetic pincushion. No shaking, tipping or fumbling for pins, this round magnetic pin holder will keep them ready for you to use. Comes with 50 plastic color ball steel pins. Do not set close to your computer.